Mad busy days, late nights and interrupted sleep... Stress and fatigue are sure to leave your eyes looking dull and tired. Combining the [CELL TARGETING SYSTEM] technology inspired by the most recent scientific breakthroughs with the power of plants, this eye contour treatment smoothes early wrinkles and diminishes signs of fatigue. Its intensely refreshing smoothing gel-cream texture combined with a cryo-metallic* tip helps instantly relieve and brighten for eyes that appear more luminous and youthful. Exclusive relaxing and purifying ritual: 1. 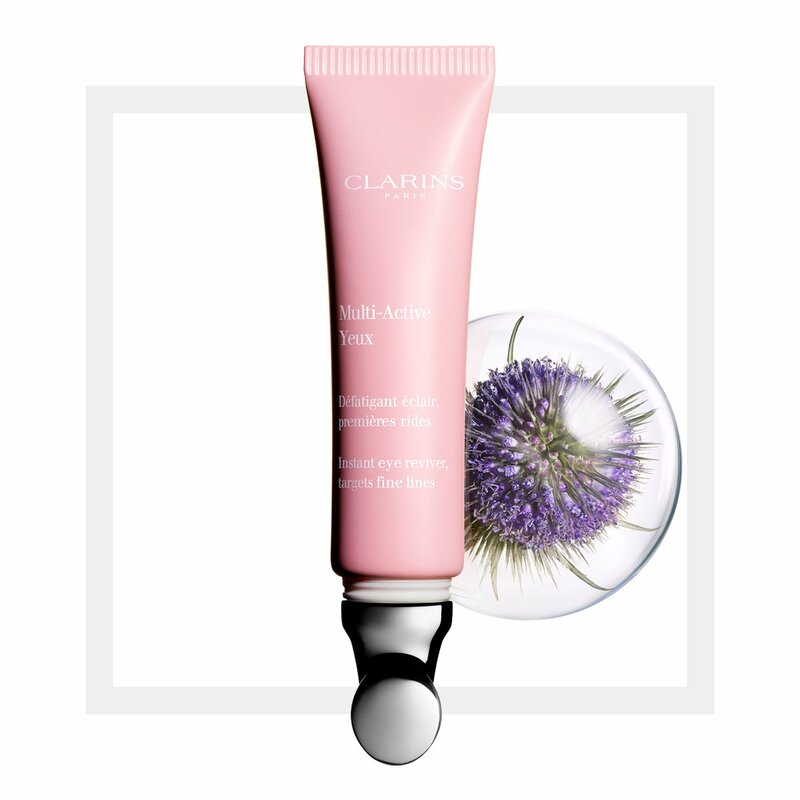 Using your fingers, apply this gel-cream with draining pressure working from the inside corner of the eye outwards. 2. Using the ultra-cold cryo-metallic tip, apply purifying pressure working from the inside corner of the eye outwards. Finish with relaxing circular pressure applied to the temples. Rated 5 out of 5 by Lisash from Great Product I was starting to notice the lines under my eyes getting worse, and no matter how much sleep I was getting I had puffy, dark eyes circles. I thought I'd give this product a go, and I'm so glad I did. After only a week I noticed the dark circles under my eyes were getting better. I've been using it for a few months now and feel like I'm "back to my best." I was freaking out about turning 30 before, but now with this product and also Clarins Double Serum (which is amazing!) I feel like my skin looks better than it did a good 5 year ago. I honestly couldn't recommend either product more! Rated 5 out of 5 by BellaAnna from Great eye cream for general use It was my first Clarins product I ever bought and having just finished it I must say I'm very happy with it. I see a lot of people gave it low rating because they compare it to some other eye creams discontinued by Clarins. Well, I don't know how it compares to some previous eye balms but I must say it did moisturised my rather dry under-eye areas well, it lasted a long time and was reasonable priced compared to some other brands. So yeah, a great multitool for your eyes, would deffo recommend it. Rated 1 out of 5 by Lindylou from Awful - not a patch on the eye contour bal Bought this after the clarins eye contour balm had been discontinued & its is awful, after using it for a month i now have terribly dry flaky skin under my eyes, my wrinkles have never been so bad & it does nothing to target dark circles. I feel like I’ve been mugged of £35. Clarins please bring back the eye contour balm. Rated 3 out of 5 by Sweet Annie from Not for me I've been using this now for a couple of months, i really wanted something to moisturise my eyes as they are really dry, its more apparent now during hay fever season how bad they really. This is to me scratching and rubbing them all the time. This doesn't suit me, i specifically asked for a moisturising eye cream and the clarions member of staff recommended me this. I think at the time the existing range was discontinued and was slowly being replaced. It's a lovely product but not sure if it makes much difference with tired eyes. 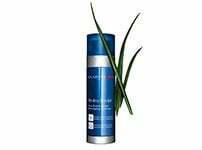 Rated 1 out of 5 by sarah70 from Why was Eye Revive Beauty Flash discontinued? 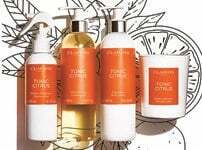 As a Clarins customer for over 15 years I find the sudden discontinuation of products that I have loyally bought and used and enjoyed for years completely incomprehensible and very disloyal of the company to their clients. This product in no way matches the Eye Revive Beauty Flash and I can see a noticeable decline in the skin under my eyes since I haven’t been able to buy it. 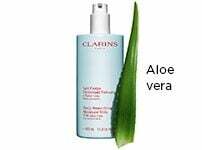 Could Clarins please bring back my favourite product. If it isn’t broken why fix it!? 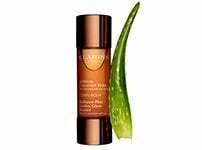 Rated 5 out of 5 by amanda 25904 from Lovely cooling eye treatment Once again I am coming to the rescue of a unfairly rubbished [new or reformulated] product. I know people are entitled to their own opinions but be constructive as it puts people off trying products which are really nice! I too used the eye gel so ended up with this treatment instead as it was discontinued. It is lovely! It is so nice my husband has pinched mine and I have to go and get another!! The tube dispenses cream then you massage it in with the metal applicator which is soothing and cooling on contact. My eyes look refreshed even when I have had a restless night or worked late. I also have sensitive eyes and it is very gentle. Like the Double Serum and Matte Makeup, if I had gone by previous review, I would not have purchased them and I am so glad I decided to try for myself! Rated 1 out of 5 by Sandyo from Eye contour gel Please bring eye contour balm back!!! I had been using this for roughly 20 years, why would you discontinue something so good?!? The gel is a terrible replacement and is ineffective, my husband wondered this morning why my eyes were looking so puffy! Very disappointed!